The Epilepsy Foundation of America and the Epilepsy Foundation Eastern PA are charity partners for the 2014 Philadelphia Marathon! By joining our team, you can raise funds that go towards research and services for those impacted by epilepsy. You can choose to run the 8k (approximately 5 miles), half marathon (13.1 miles) or the full marathon (26.2 miles)! 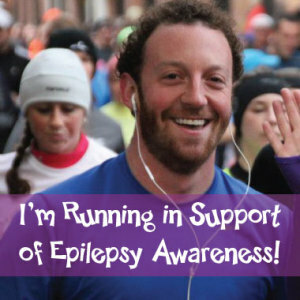 And because the run is in November, what a better way to run for epilepsy awareness! Last year our runner Josh raised over $800 for epilepsy services, and you can too! The Gore-Tex Philadelphia Marathon, Half, 8K takes place on Saturday, November 22nd and Sunday, November 23. Details about the race and time can be found on their website. If you’d like to be a part of the team, contact Marikate at mtaylor@efepa.org or by phone, 215-629-5003 x.106.